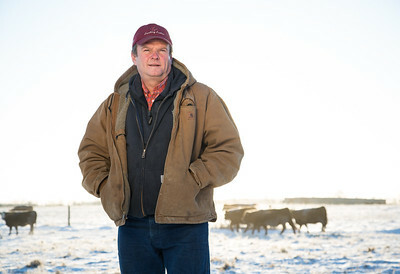 Ken Lewis of Lewis Farms near Spruce Grove, Ab, checks the cattle heard on a brisk winter morning. Shot for Country Guide magazine. Ken Lewis in the cattle barns at Lewis Farms. Rhonda Headon stands among the cheese produced at the Cheesiry near Lloydminster, Ab. 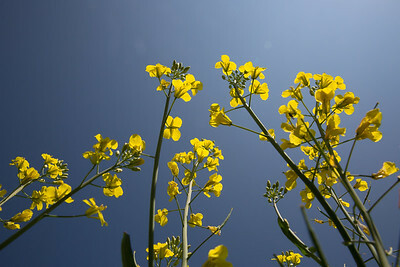 Researcher Sheri Strydhorst measuring and staking out plots outside of Barrhead, Ab, for an upcoming research project. 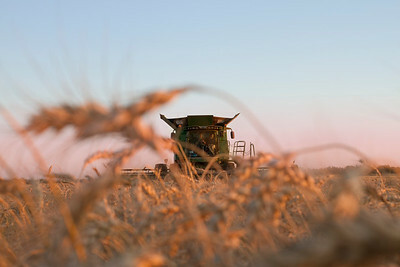 Shot for GrainsWest magazine. One of Brian's projects is to automate his farm equipment using an open sourced software program. His tractors can be seen running without an operator in the seat near Mannville, AB. 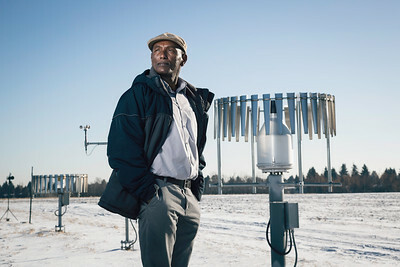 Daniel stands near the weather station equipment located at the University of Alberta Farm in Edmonton. 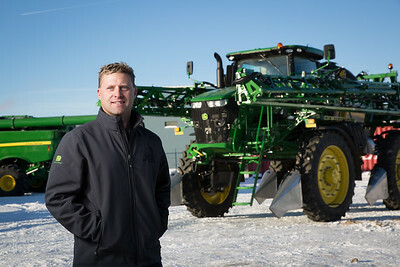 Troy Monea of G&T Custom Farming stands in front of his newly purchased John Deere high clearance sprayer. Shot for Country Guide magazine. 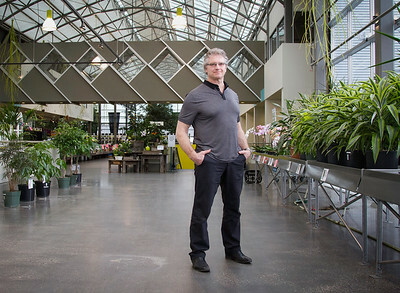 Jim Hole stands among the plants for purchase at the Enjoy Centre in St. Albert. Shot for Country Guide magazine. 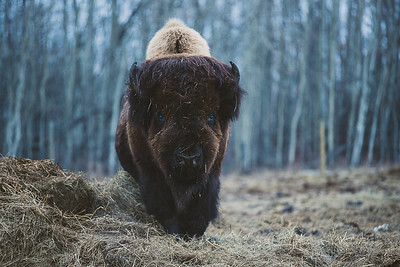 This 14 year old bison bull takes a brief break from munching on some hay. Near Dapp, Ab. 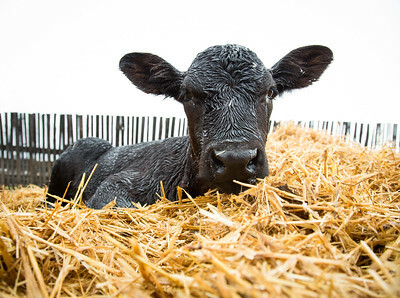 A small calf keeps warm in the straw on a rainy spring day. Grandpa getting as much combining done as possible during the peak hours. 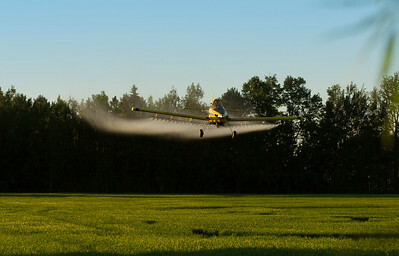 A local crop duster applies fungicide to a wheat field. 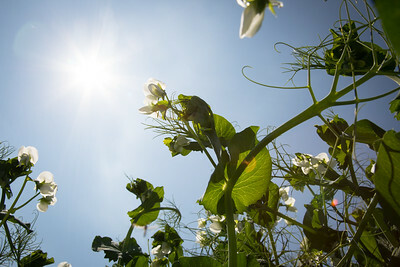 A pea crop in bloom. 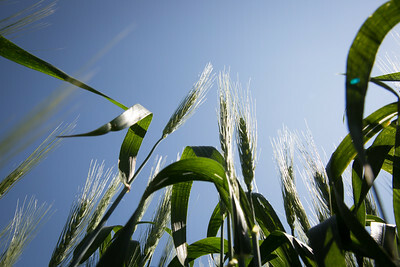 A wheat field on a sunny afternoon. 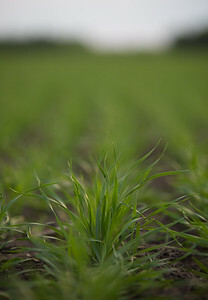 Spring wheat in the earlier stages of growth. 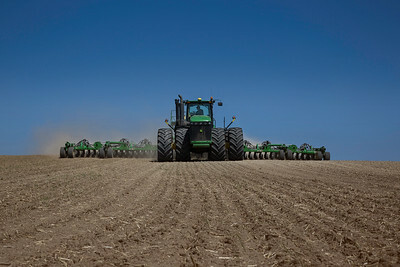 A tractor and air drill seeding. 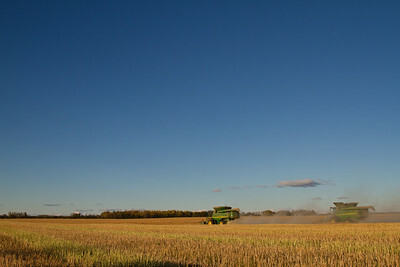 Two John Deere combines picking up canola swaths. 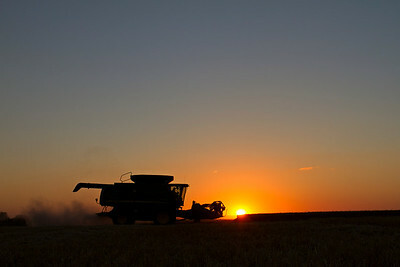 Travis and Kelsey combining wheat as dusk approaches. 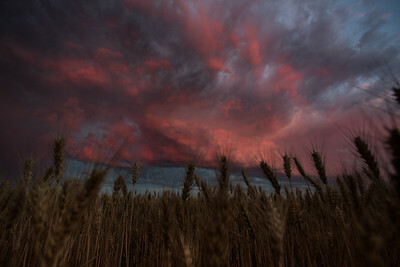 Pink and purple rain clouds pass over a ripe wheat field early in the evening. 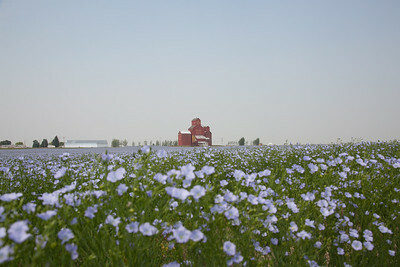 A flax field in full bloom is pictured in front of a grain elevator in Saskatchewan. 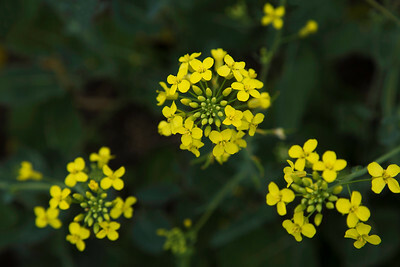 Invigor canola during the flowering stage.